We’ve been lucky to be able to fund this project out of our own pockets through six countries but in order to keep adding stories and sharing new voices we need your help! Buy one of our items!! All the profits will be put towards making this project better, expanding further, and bringing you stories from around Latin America. 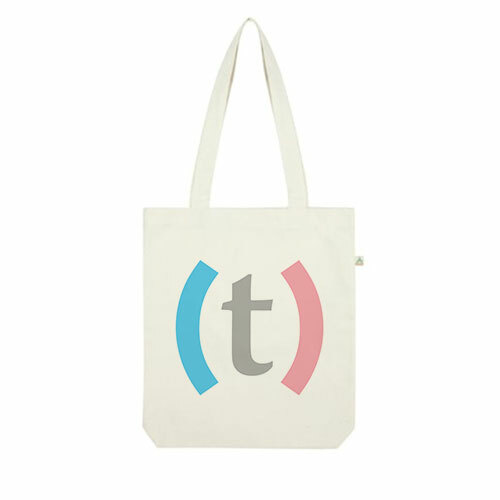 Twenty dollar donation gets you a Transmasculinidad branded tote bag. Twenty five dollar donation gets you a Transmasculinidad branded t-shirt. Fifty dollar donation gets you a Transmasculinidad branded t-shirt. This project has been mainly self-funded - driven by our desire to understand gender (our own and at large). While travelling and working other jobs, we connected with trans and non-binary people to investigate changing legislation, explore gender expression, and commiserate over restrictive laws and suffocating gender norms. Funding from the International Reporting Project helped us travel to Costa Rica and Guatemala to continue to investigate changing legislation for the transgender community. We plan to expand this project to other countries and continue reporting - and for that we hope you help out. This website will continue to evolve and grow in the coming months to include portraits, interviews, videos, and reporting from the countries we have visited. We also plan to mount immersive exhibits in the communities that were so incredibly welcoming and open to us. Every peso, sol, dollar, colon, bitcoin will go toward expanding this project and creating community. Hemos tenido la suerte de poder financiar este proyecto de manera personal a través de 6 países pero para poder sumar más historias y nuevas voces, necesitamos tu ayuda! Compra uno de nuestros productos! Todas las ganancias serán utilizadas en hacer este proyecto mejor, expandirnos y traerte historias de América Latina.